Happy 2018! We appreciate all the Usagi love you gave in 2017. 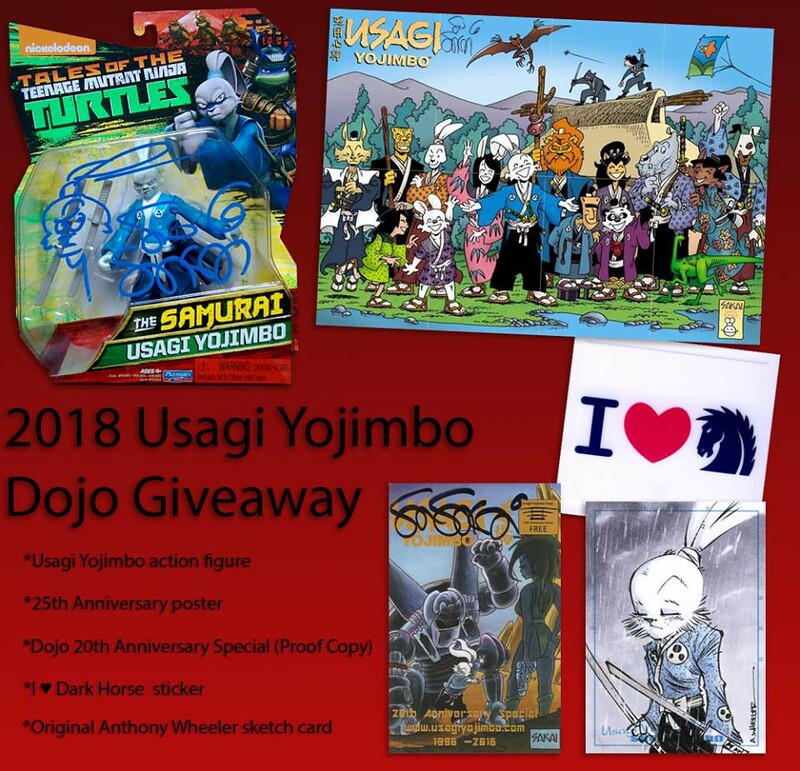 As a way of saying thanks, we'd like to start off 2018 with a little giveaway for you guys, compliments of Stan Sakai and the Usagi Yojimbo Dojo. We'd also like to thank Anthony Wheeler Art for providing the original art on the sketch card. This one is easy to enter. 2. Post a comment below with your favorite Usagi story (or arc). Make sure you post it as an original comment, and not a reply to a comment, as the random name selector does not recognize the replies. The giveaway is open to all citizens of earth 18 years of age and older and will end Jan. 15 at 11:59PM PST. One entry per person. This promotion is in no way sponsored, endorsed or administered by, or associated with Facebook. You understand that you are providing your information to the owner of this Facebook page and not to Facebook. I was coming here to share this, and you beat me to it! My wife saw this yesterday on her facebook feed and asked me my favorite so she could enter for me, as I am not on FB. Wow, that is so cool. I've been working on getting my FB account unlocked. Better hurry up now! Good luck to anyone who enters the contest!